NAS Biographical Memoirs provide the life histories and selected bibliographies of deceased National Academy of Sciences members, including famed naturalist Louis Agassiz; Joseph Henry, the first secretary of the Smithsonian Institution; Thomas Edison; Alexander Graham Bell; noted anthropologist Margaret Mead; and psychologist and philosopher John Dewey. Election to the NAS is a widely accepted mark of excellence in science and is considered one of the highest honors that a scientist can receive. 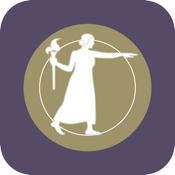 Download the Biographical Memoirs app to easily access the online collection of more than 1,500 biographies of some of the nation’s most renowned scientists directly on your iPad.